If you’re willing to make a move and fit the qualifications, many rural American towns – and whole states – are offering attractive incentives aimed at attracting new residents and reviving their communities. Ranging from cash grants to free lots of land, these enticing incentives are luring many city dwellers to rural America. At the beginning of the 20th century, rural America housed more than half the country’s entire population. While the total number of Americans living in rural areas has been roughly stable over the past century-as urban and suburban America have boomed-its share of the total population has declined, falling from 54 percent in 1910 to just 19 percent in 2010. This is due in part to outmigration to urban cores, especially by younger generations and the middle class. This decline in population – and the accompanying social and economic challenges – is forcing rural America to come up with inventive incentives to attract new residents back to rural communities. Tribune, Kansas is one such town with one such program. “If you move here, we will pay down your student debt,” explains Christy Hopkins, community development director for Kansas’ least populated county, Greeley (in which Tribune sits). This program, called the Rural Opportunity Zone program, incentivizes post-grads from big cities to move to under-populated towns in one of 77 participating Kansas counties. One of the incentives? They’ll help you pay off your student loans – up to $15,000 over the course of five years. Dream of building your own home from the ground up? Curtis, Nebraska has a sweet deal for you: Construct a single-family home within a specified time period and receive the lot of land it sits on for free. Just 45 minutes east of Omaha, the town of Marne will give you a lot of land for free – all you have to do is build the house (conventional construction or modular) and meet program requirements. Houses must be a minimum of 12000 square feet, and the average lot size is approximately 80 feet x 120 feet. Dreaming of a peaceful life in a newly-built home in the Land of 10,000 Lakes? Good news: Your dream comes with a cash rebate. The Harmony Economic Development Authority offers a cash rebate program to incentivize new home construction in Harmony. Based on the final estimated market value of the new home, rebates range from $5,000 to $12,000 and there are no restrictions on the applicant’s age, income level, or current residency. Definitively not a rural town, Baltimore’s homeowner incentives were just too appealing and inventive to live off this list. Baltimore has not one but two programs offering robust incentives towards buying a home in the city. Buying Into Baltimore offers a $5,000 forgivable loan (forgiven by 20 percent each year, so that by the end of five years you no longer have a balance) if you meet certain qualifications. The second solution offered by the city is a brilliant one: the Vacants to Value Booster program offers $10,000 toward downpayment and closing costs of buyers to Vacants to Value (distressed or formerly distressed) properties. Also not a rural area, but offering an incredibly generous package of homeowner incentives: The city of New Haven, CT has a suite of programs totaling up to $80,000 for new homeowners, including a $10,000 forgivable five-year loan to first-time home buyers, $30,000 renovation assistance, and/or up to $40,000 for college tuition. Chances are, if you’re moving to Alaska, the state has a program for you. The state offers an interest rate-reduction program for those financing new or existing energy-efficient homes or improvements. Alaska also offers incentives for veterans and live-in caretakers of physically- or mentally-disabled residents. They even have a manufactured home program and a rural owner-occupied loan program. See the full list of programs here. Like most states, Colorado offers traditional programs that assist with down payments and low interest rates, but the state also has a disability program that helps first-time buyers who have a permanent disability finance their home. The state also has a down payment assistance grant that provides recipients with funds up to 4 percent of their first mortgage, which doesn’t require repayment. Interested in buying a home with history (and maybe some wear and tear)? Wyoming just might be the place for you. The state offers programs like the Wyoming Rehabilitation & Acquisition Program, which takes homes that have been foreclosed on or abandoned and puts them back on the market for households with low incomes after they’ve been rehabbed. Wyoming offers another rehab program that allows for older homes to be “spruced up” if they need more than $15,000 worth of repairs. Do You Qualify for Treasury Down Payment Assistance? This article was originally published on attn.com. Cities need the middle class. They need nurses and teachers. Yet if people have a well-paying job like those, they’re finding it increasingly hopeless to afford to pay for a house in the city in which they work. Cities tend to have the most job opportunities, but they also have the highest cost of living. In recent years, the housing costs in urban areas have grown more than anywhere else. If you’re in an average, middle class-paying job, buying a home in a city with your current employment isn’t realistic at all. Unless that home is under 500 square feet-about the size of a toolshed. For the biggest cities like New York, Los Angeles, San Francisco or Washington, D.C., your average affordability falls to under 300 square feet. 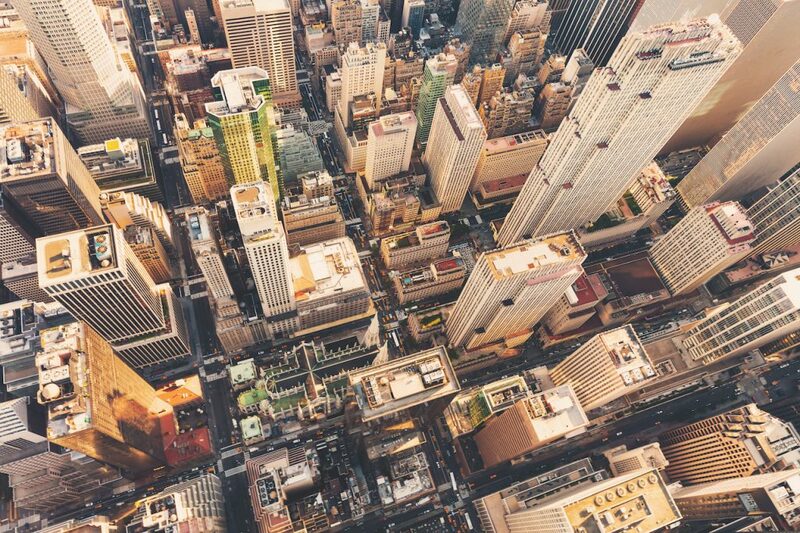 The middle class should be able to afford the cities they serve without incurring the burden and long-term physical and mental stressors of a multi-hour commute. With America’s supply and demand problem not getting any better, there are certain steps that both governments and the private sector could do to try to help impact cost in a positive way. Rockstar Sting and his wife, Trudie Styler, have been living large in their New York City pad at 15 Central Park West. 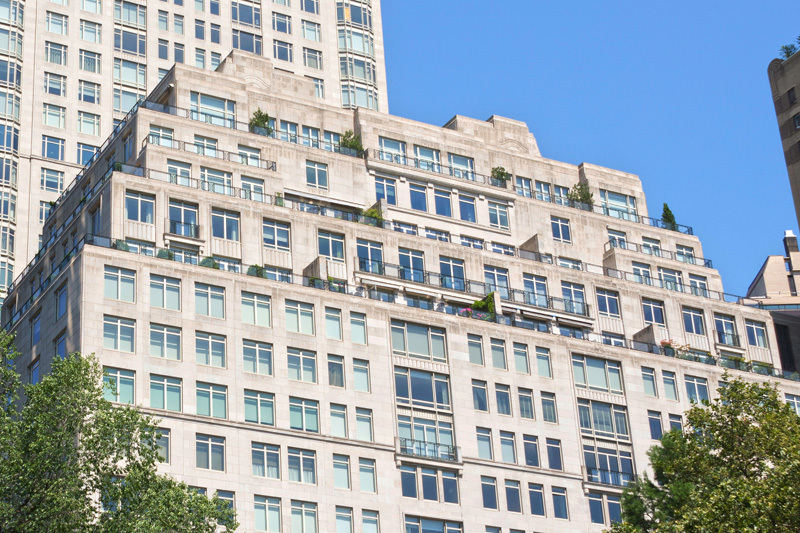 Measuring 396 square feet, the terrace off their living room is bigger than some New Yorkers’ entire apartments. 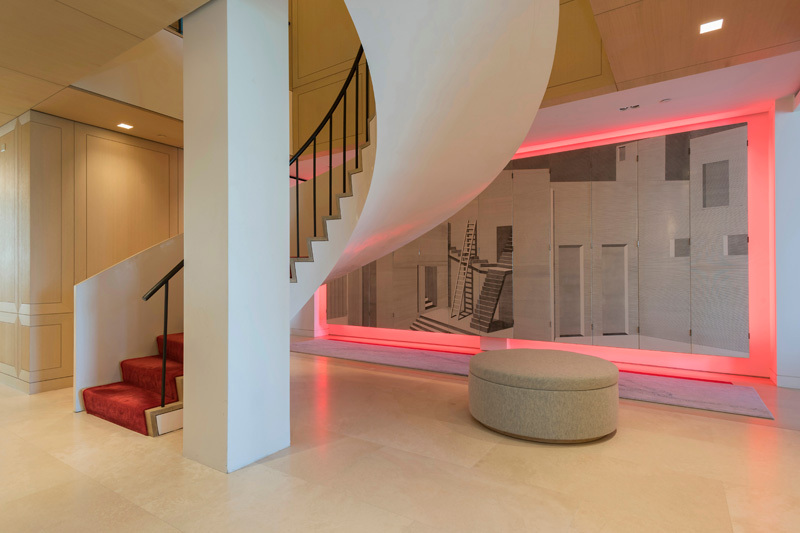 The penthouse interior spans an additional 5,417 square feet. The famous couple seems ready to move on after nearly a decade of ownership. 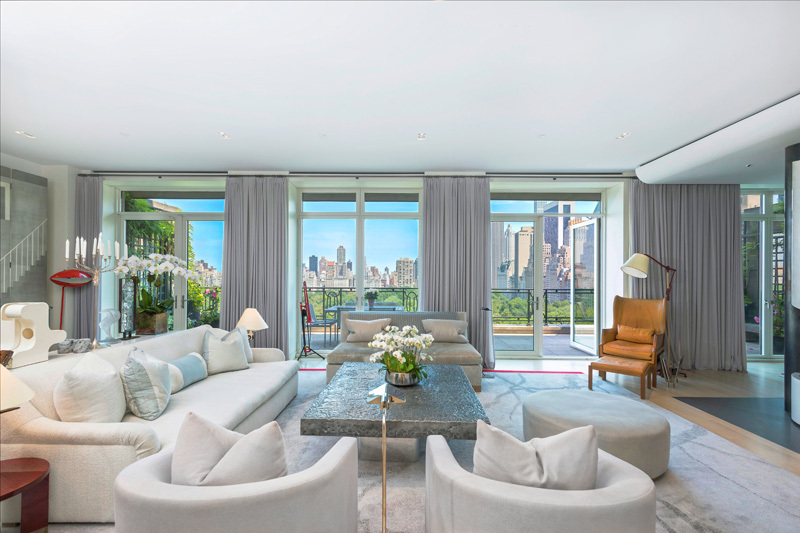 Given the home’s iconic address and spacious quarters, it’s not surprising to see a pending sale after just 8 months on the market – even with an original ask of $56 million. 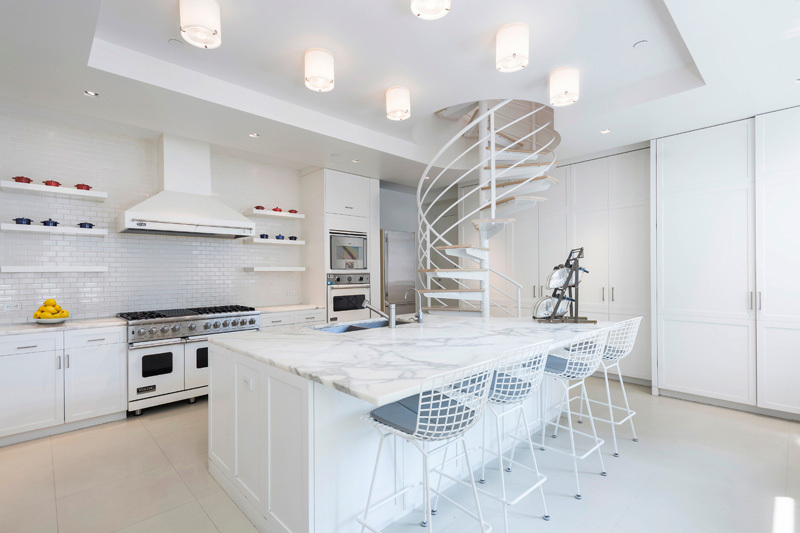 The 4-bed, 5.5-bath residence is spread over two floors and connected by a spiral staircase. 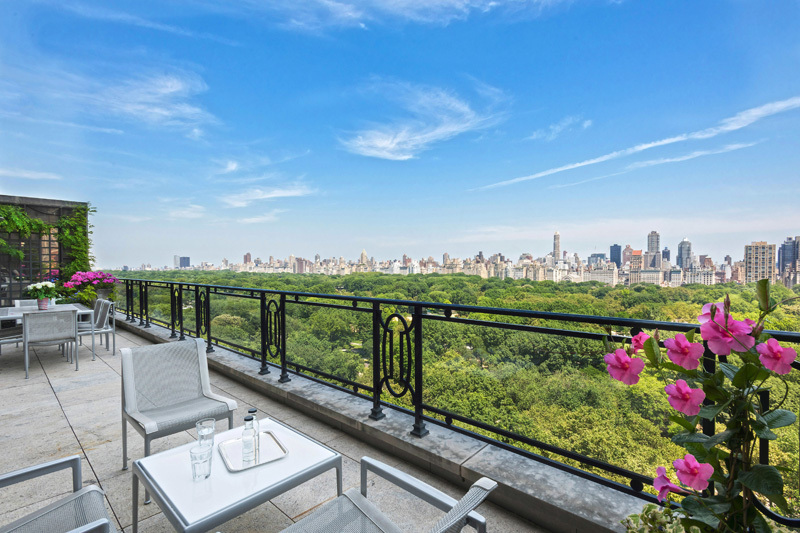 Views of the city and Central Park can be found from almost every room. Even for a luxury home, the penthouse offers some spectacular touches. Instead of a standard set of appliances in the kitchen, the buyer will receive two full-size refrigerators, an oversized Wolf range, four ovens and three Miele dishwashers. 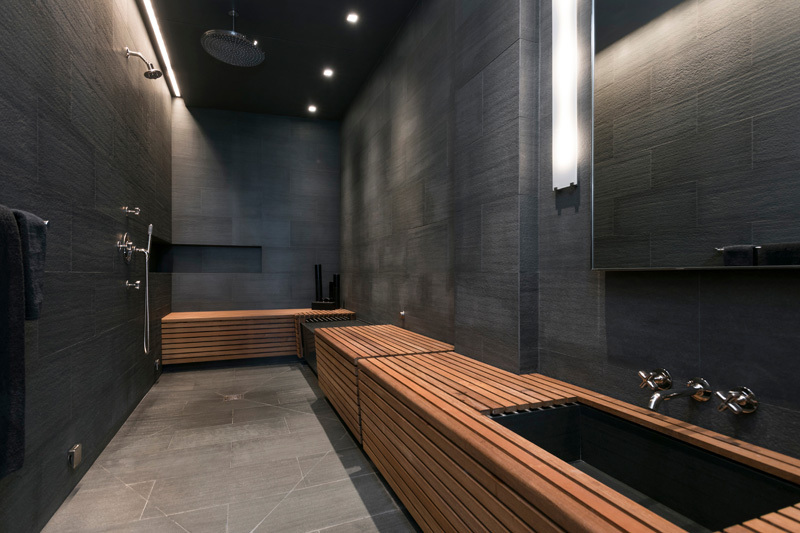 In the master suite, two dressing rooms and a lavish, spa-like bathroom are accompanied by a separate steam room with a rain shower. If the posh residence and its high-end touches aren’t enough, residents of the white-glove condo building are privy a host of amenities. Between the 14,000-square-foot gym, sky-lit lap pool, wine cellars and game room, there’s something for everyone. Deborah Kern of Corcoran holds the listing. For the majority of Americans, regardless of race or ethnicity, owning a home is a major goal. According to the first Zillow Housing Aspirations Report, 63 percent of whites, 63 percent of blacks and 73 percent of Hispanics believe owning a home is necessary to live the American Dream. But although they share the same dreams as whites, for blacks and Hispanics getting into a home remains as challenging as ever-in part due to financial challenges and decades of discrimination. Historically, the homeownership rate among people of color has lagged behind the homeownership rate among white Americans, in part because of institutional barriers to entry. Until the late 1960s, federal government-backed subsidies-many of them funded through the Federal Housing Administration (FHA)-were off limits to people of color. The FHA, which was established to help people remain in their homes during the Great Depression, began to promote homeownership during the years after World War II. And the lagging homeownership rate wasn’t just the result of one program. There were others created to boost homeownership that resulted in similar outcomes for people of color. Black military veterans, for example, weren’t able to borrow money through the GI Bill to purchase homes. Middle- and lower-income whites benefited most from federal government programs, including low-cost mortgages and subsidies for home builders to construct affordable homes in racially-segregated communities. Even today, minorities still face more hurdles, similar to the ones they experienced in the past. When blacks and Hispanics try to secure FHA loans, they’re denied about twice as often than their white peers-denials which can sometimes be linked to injustices endured outside of housing. It shouldn’t come as a surprise, then, that fewer blacks and Hispanics apply for these programs. But for those who do, “far fewer actually get accepted, and the groups that are highly at a loss are black potential homeowners and Hispanic potential homeowners,” said Zillow Chief Economist Dr. Svenja Gudell. 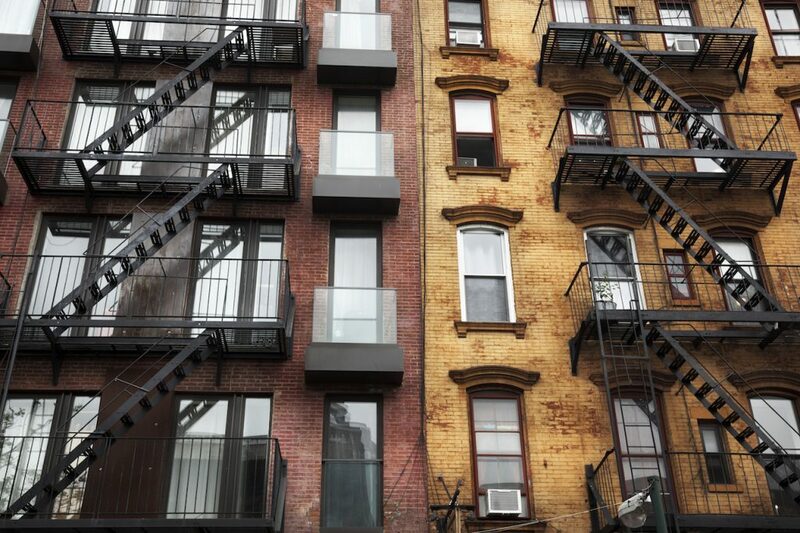 “Housing segregation has not been something that has been quickly changed due to personal prejudice,” said Dedrick Asante-Muhammad, director of the Racial Wealth Divide Initiative at Prosperity Now. Yesterday’s outright discriminatory policies helped keep minority homeownership low and largely limited to less-advantaged areas. And today, those disparities persist. The Zillow Group Consumer Housing Trend Report 2017 revealed that although they each account for 13 percent of all U.S. households, blacks and Hispanics only account for 8 percent and 9 percent of U.S. homeowners. Dedrick Asante-Muhammad, director of the Racial Wealth Divide Initiative at Prosperity Now, said low homeownership rates is connected to other disparities. “Housing segregation has not been something that has been quickly changed due to personal prejudice,” he said. That’s especially true when it comes to those same FHA loans-it’s not just a problem of the past. While Asante-Muhammad says outright legal discrimination has since been outlawed, we’re still seeing the repercussions of the country’s historic discriminatory practices. “In the 21st century, I think we’re looking more at the issue of the results of housing discrimination and discrimination as a whole,” he said. That discrimination, he added, leads to strong racial economic inequality, which, in turn, makes it harder for people of color to move into more expensive neighborhoods. Part of the problem, he said, is there’s still market discrimination against homes in black communities. “A home in a predominantly black neighborhood and the exact same home in a predominantly white neighborhood will have less value because it has less market appeal because people don’t want to live in neighborhoods with black populations somewhere above 20 percent,” he said. Asante-Muhammad argues some of the discrepancies can be attributed to racial and personal animosity keeping people of color out of higher-valued neighborhoods. But the gap could also be due in part to high negative equity rates-the share of homeowners who owe more on their home than it’s worth-in largely minority communities. When a homeowner is in negative equity, it can be very difficult, if not impossible, to sell their home at all, let alone for a profit they can then use to help buy a different home in another neighborhood. In black and Hispanic communities, home values fell farther than in white communities, and haven’t been able to fully bounce back from the recession. “In terms of closing the gap of white and black homeownership, we’re not moving,” Zillow Chief Economist Dr. Svenja Gudell said. While minority buyers are trying to enter the housing market, it’s made increasingly difficult due to their lack of wealth. “Wealth inequality … reinforces what had been maintained by law and by personal prejudice in the past,” he said. And that lack of wealth is only exacerbated when it comes to home buying. “So, let’s say you’re getting a $200,000 house and want to put a 10 percent down payment, that’s $20,000. That’s much higher than the median wealth of blacks and Latinos,” he said. A 10 percent down payment is already outside the traditional norm. Typically, a down payment is 20 percent of the home’s value, so $40,000 for that same $200,000 home. But even if these would-be buyers took advantage of some of the systems in place to help address some of these issues-including utilizing an FHA-backed loan which allows borrowers to make a down payment as low as 3.5 percent-it’s often still not enough. Asante-Muhammad said even if these buyers got an FHA loan on a $200,000 home-the median-valued home nationwide-the down payment would still be beyond the wealth of most blacks and Latinos. For that $200,000 home, a 3.5 percent down payment would equate to $7,000-or roughly 68.5 times the wealth of African-Americans and 58.5 times Hispanic wealth. And their wealth today is much less than it was even 10 years ago, when black and Hispanic wealth was $10,400 and $10,200, respectively. “If things keep going the way they’ve been going, in 2053, the African-American median wealth will be zero,” Asante-Muhammad said. And that lack of wealth has big repercussions for the future.